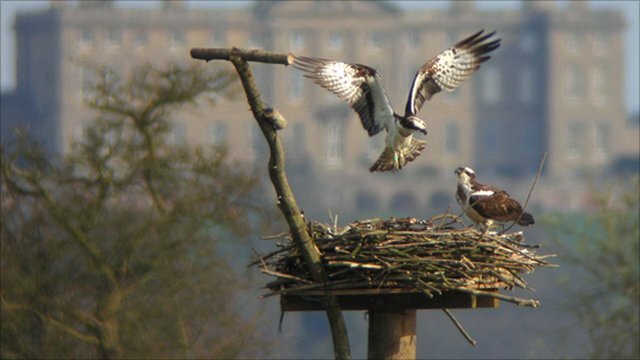 The first pair of breeding ospreys has returned to Rutland Water after winter in Africa. For 17 years the nature reserve has played host to a small community of the birds as part of a project to re-establish them in the UK. From the moment they arrive until their chicks leave the nest in summer, the ospreys will be monitored by a team of 150 volunteers. East Midlands Today weather presenter Sally Pepper visited the site as the first pair were reunited after spending the winter months apart.